Choose your own adventure with the MTR hitch rack. Whether you’re feeling me-time or party time, the MTR can adjust for any occasion. The secret is in the MTR’s modular design (after all, MTR stands for “Modular Tray Rack”). 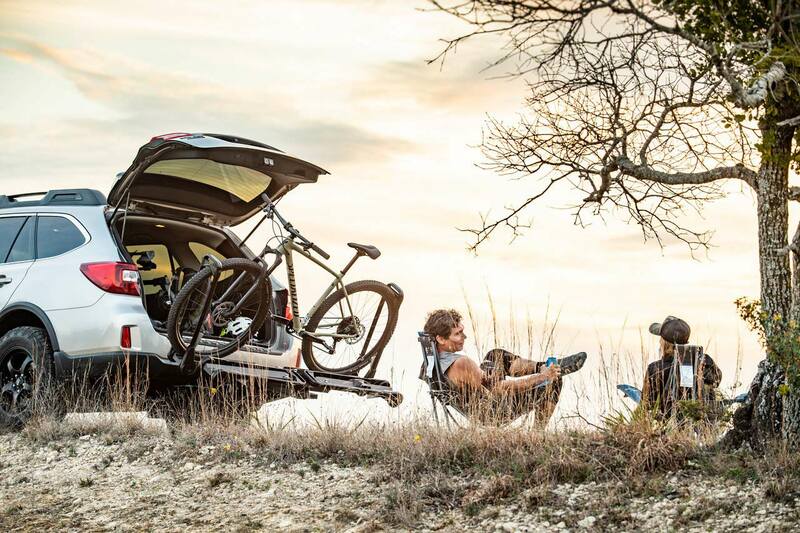 Simply add or remove trays to securely haul between one and three bikes to wherever the trail may lead. And like all Saris racks, the MTR is Made in the USA and backed with a lifetime warranty. The MTR 2-bike securely carries two bikes, up to 60 lbs each. Modular: customize this MTR hitch rack base to transport between two and four bikes. Pivoting and nesting wheel trays for easy loading and unloading, as well as compact storage and transport. 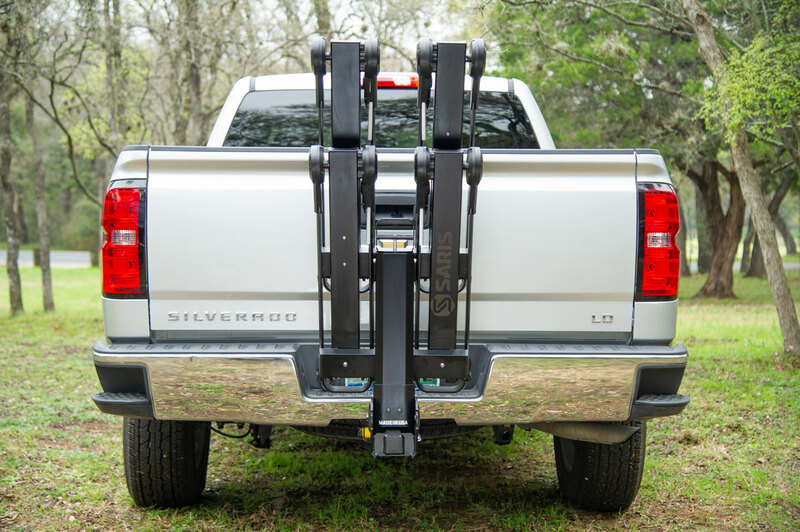 Dual-arm holders are compatible with a wide range of tire sizes. Tilting mechanism for easy hatch access. Rack folds up for compact storage when not in use. Built to last: constructed from American-made aluminum and steel, backed with a lifetime warranty. Complete integrated security: locks the rack to the car and the bikes to the rack. The MTR tilts back to allow easier hatch access. Saris is a manufacturer of bicycle accessories committed to making their products in Madison, Wisconsin, USA. At Saris, bikes are at the heart of everything they do. Through their products, Saris propels all types of bicyclists forward be it in pursuit of personal enjoyment or peak performance. Through their advocacy, Saris promotes healthier, happier, bike-smart communities both locally and nationally. Saris endorses four brands: Saris Bike Racks, Bike Fixation Infrastructure, PowerTap Power Meters, and CycleOps Bike Trainers. For more information, visit www.sarisbrands.com. The rails fold in for better clearance when not in use. Wow. Been waiting longtime for something like this from Saris. Made in USA ! Still no tail lights. Way to go, Saris! This would be great for our family. We attend and race MTB events all year long.